Cultures colliding can lead to wonderful things, a fusion that combines the best of both worlds. Unfortunately, as history tells us, these clashes tend to lead to destruction. Power imbalances are exploited, the enormous weight of one colonising culture begins a conscious erasure of what it's landed on. This global cultural desecration was carried out with gusto for most of the last century, ethnic cultures systemically being converted to a Western model: languages forgotten, traditions abandoned, rituals blown away like dust in the wind; a thousand years of culture destroyed in favour of Christianity and capitalism. Viramundo is a documentary that examines the lingering effects of this process and searches for ways to counterbalance it. 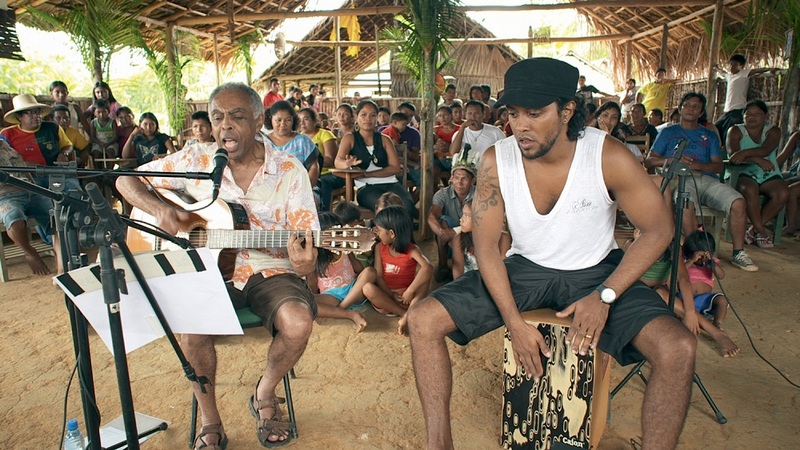 Our guide is internationally renowned Brazilian musician Gilberto Gil. Gil has spent his life furthering social and political activism through his music and philosophy. His works were so powerful that the Military Regime that ruled Brazil from 1964 to 1985 imprisoned him as a subversive element. But as proof of how times change, in 2003 President Lula appointed him Brazil's Minister of Culture, the first black man to ever take the role. As Minister of Culture, Gil explored the positive potential of cultural diversity in an increasingly interconnected world, working towards a future where social and economic status would be no barrier to learning and producing culture of their own. This political goal fuelled much of his Ministerial work in Brazil, Gil introduced a system of 'culture points' that awarded grants to facilitate both music technology and communications infrastructure to reach young people living in poor areas of Brazilian cities. Underlying this process was a fervent belief that multiculturalism, the preservation and recognition of ethnic traditions and lifestyles, is crucial to bringing racially, economically and culturally divided nations together. Viramundo is the continuation of this process. We follow Gil on a tour of the southern hemisphere as he visits regions where racial issues remain a hot button issue. Gil visits and interacts with Aboriginal communities in Australia, South African mixed race orchestras and dispossessed Indians in Amazonia, making friends with everybody along the way. These disparate cultures have many unique concerns and have been wronged in myriad ways. Yet though separated by thousands of miles they have a great deal in common: oppression by a colonial aggressor who has worked hard to wipe their peoples from the face of the earth, either through overt violence or creeping cultural assimilation. Fortunately (and cheerily) they have something else in common other than misery: music. Gilberto Gil is the perfect guide for this journey. His musical prowess allows him to communicate and relate to pretty much everyone he meets. With a guitar strapped to his back and his ever-present percussionist he interacts with everyone he meets as equals, trying his best to participate in their culture and teach them about his Brazilian solution to cultural destruction. He also comes across as a thoroughly nice man at all times, with an easy charisma that sets people at ease. Gil does a surprisingly rare thing in this film; he listens. Despite being the 'star' of the film, there's next to no ego here, instead a resolute decision to focus on the stories of those he meets. There's not even a huge deal of time given over to exploring how the lives of the people he meets relate to his own. This is an intelligent decision, ultimately Gil doesn't need to explain himself a great deal, the film itself works beautifully as an advertisement for his vision of an interconnected cultural world. It's a great way to go about things, though an unintended consequence is that the documentary spends so little time on the subject of Gil himself that someone unfamiliar with him isn't given much to work with. You have to resort to picking out bits of conversations to build up the biography of the man over the course of the film. This means that there's a risk of an audience giving valuable mental real estate to figuring out just who this pleasant charismatic man is when they should be pondering the cultures he meets. The documentary's refusal to set out Gil's goals is perhaps a failing, and results in a lack of forward momentum. Though the film is essentially a travelogue we never quite know where and why we're heading somewhere. I guess it's admirable that they trust the audience to work all this out for themselves, but the slightly unfocussed message results in the film dragging slightly in the slower sequences. These are minor complaints though, and even a moderately attentive viewer should be able to put all this together. Considering that Viramundo is primarily concerned with communicating through music, it's refreshingly visually striking. 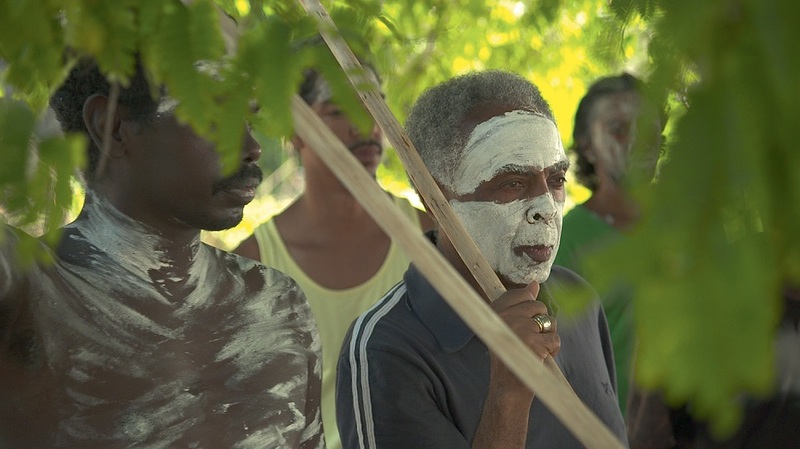 I particularly enjoyed a sequences where Gil meets an Aboriginal community in the Northern territories of Australia where they're applying white paint to their faces, including Gil's. In a visual stroke it erases the differences between the vistors and hosts, showing us them directly participating in their culture. Gil even takes part in a ceremonial dance, which is commendable, though I think the only moment in the film where he doesn't quite look at ease. It's the music that makes Viramundo such a pleasure to watch though. From the orchestras of South Africa, to the didgeridoos of Australia, all the performances are vibrant and passionate in a reflexive and instinctive way. This is music free of ego, a pure form of cultural expression from people desperately trying to preserve something of the way of life that their ancestors lived. The through line is the chilled out, emotional and thoughtful guitar plucking of Gilberto Gil and his soulful voice, an appropriately unifying factor that ties the whole thing together. My favourite performance in the film was also the last. Sabrina Santos is an indigenous Brazilian, who explains that while she doesn't want to move back into the rainforest she also wants people to know about the culture she loves. With Gil looking on (looking a little in awe) she beautifully sings a intelligent and incisive song about the destruction of her culture and the environment around her. It's a fantastic coda to an impressive documentary. It's easy to get swept up and enthused by the people we meet. 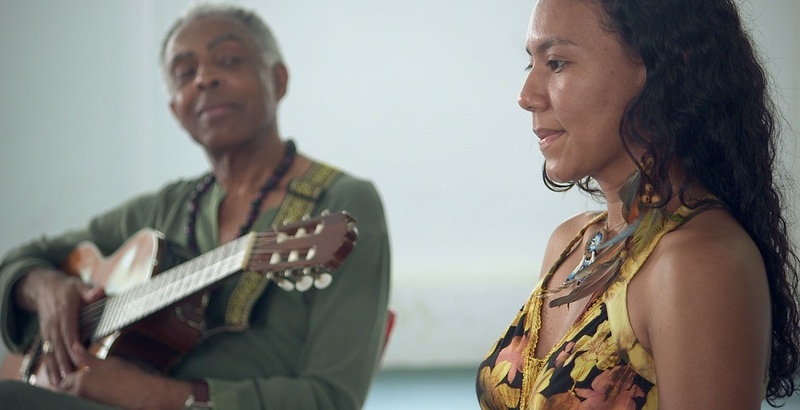 Gilberto Gil is a great guide to this, possessing a perfect combination of gravitas and and laid-back charisma. 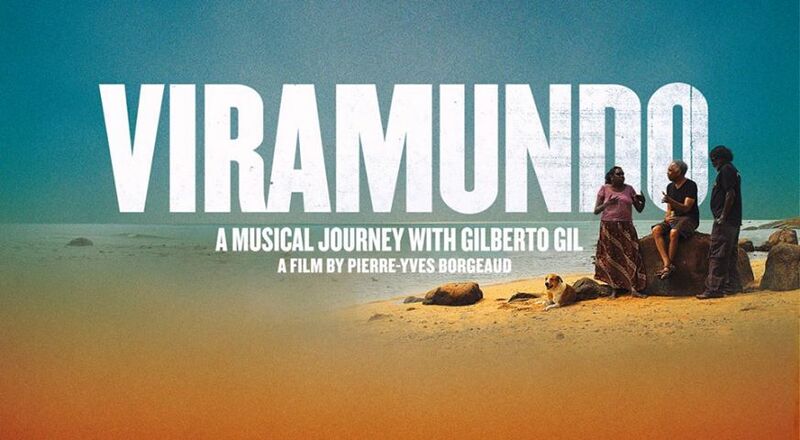 Viramundo is a little meandering and unfocused, but fortunately is thought-provoking from the first to the last note.